"An incredibly powerful story and those old songs shine so beautifully." 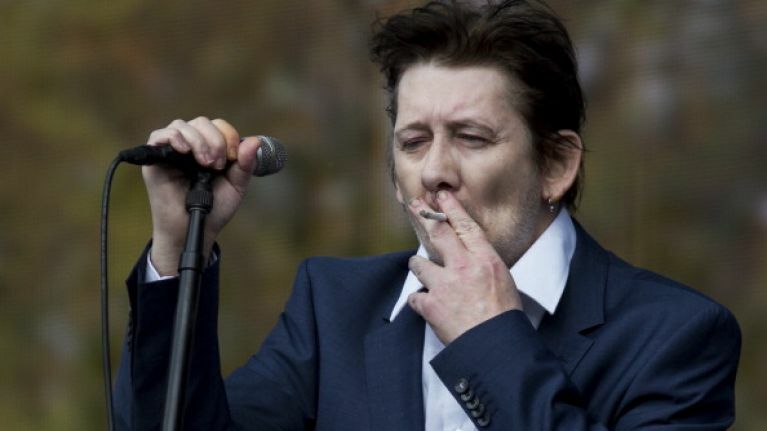 Very few people could argue with the fact that Shane MacGowan is one of the finest songwriters alive. Unlike other musicians, MacGowan's lyrics have that rare ability to be incredibly descriptive, emotive and well, narratively complex. Despite the fact that he was born in England, MacGowan has consistently been able to depict and tap into that uniquely Irish sense of romantic melancholy that's tinged with joy, sorrow and well, craic. There's something wonderfully poetic - and incredibly cinematic - about the characters and tales that he depicts in songs like A Rainy Night in Soho, Fairytale of New York, and my own favourite, The Body of An American. As fans of The Pogues will know, The Body of An American also featured heavily in the greatest show of all time, The Wire. Truth be told, we can't even think of an Irish wake without reciting the line "The cadillac stood by the house, And the yanks they were within.."
In fact, the creator of The Wire is so enamoured with the music of The Pogues that he has written a musical that's based on their tunes. Cait O'Riordan played bass with the punk icons and she confirmed that the upcoming musical will be an 'incredibly powerful story'. Hell, if it's good enough for an actual band member to say that then fans should be very happy. As of yet, there's no news if this musical will make it to Broadway/ West End etc, but we'd be amazed if it didn't prove to be a hit. Hell, if they don't like it in the U.S, bring it over to Ireland. After all, who doesn't like The Pogues?